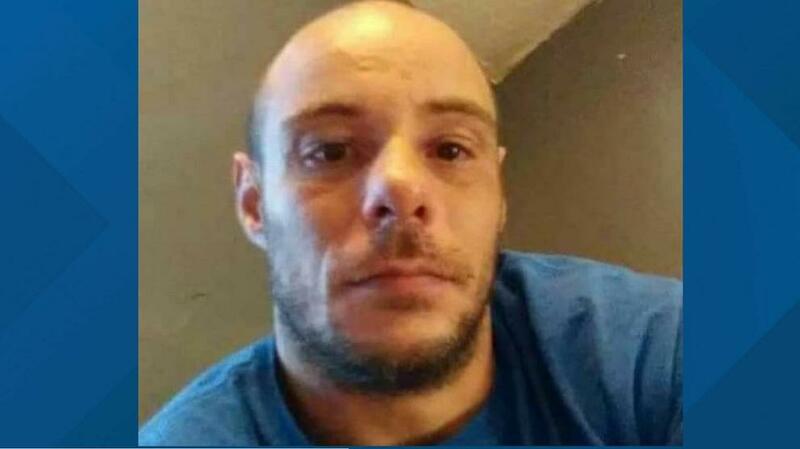 There's horrific news to report coming out of Maine, where 38-year-old Donald Giusti was beaten to death by a gang of teenage Somali invaders; and the mainstream media is once again silent on the story. Donald Giusti was in the wrong place at the wrong time, according to friends and family, when eyewitnesses say that two rival gangs were clashing in downtown Lewiston, Maine. As Giusti was walking through Kennedy Park, the two gangs, one comprised of teenage invaders from Somalia who are in the United States of America as “refugees,” began to attack him with various makeshift weapons, pummeling him unconscious. Giusti would be taken to the Central Maine Medical Center for emergency medical treatment, but despite the best efforts of the staff on-hand, he succumbed to the vicious injuries and later died, according to the<a href="http://www.sunjournal.com/tuesday-night-fight-victim-still-in-critical-condition/"> Sun Journal</a>. The media has yet to pick up the story as they should, with this case resulting in a tragic death of an American. Not much is expected from the mainstream media in the way of reporting on Jihadis, and that's <i>because the mainstream media is owned by the same globalists pushing for this invasion of America</i> in the first place. According to Vinciguerra, these incidents have been occurring for a little over two months, since the violent Muslims were first brought to the area. Nick says that after the homicide, he and several locals began appearing at the park in the evenings to ensure the violence doesn't continue since law enforcement is essentially barred from acting for fear of “racial profiling” of the gangs. He says the last time they went to the park, a black vehicle rolled buy and began shooting pellets at them, scaring many locals into not returning. 27-year-old Jennifer Hixon said she was also there, as several of their friends were shot by the pellet guns from the Muslim gangs. This is becoming more common in New England states, with the Goldwater reporting on a similar case last year where a<a href="https://thegoldwater.com/news/15686-African-Muslim-Migrant-in-Sanctuary-State-Vermont-Tried-Murdering-Elderly-White-Woman-with-Machete"> Somali Migrant in Vermont attacked a 73-year-old woman with a machete </a>trying to kill her. In January of 2018, a<a href="https://thegoldwater.com/news/16220-Somali-Immigrant-Dressed-As-A-Nurse-And-Sexually-Assaulted-Woman-In-Labor"> Somali migrant dressed as a nurse sexually assaulted a woman </a>going into labor. Just a few weeks ago, a group of<a href="https://thegoldwater.com/news/26234-Minnesota-Somali-Refugees-Defrauded-State-For-100Million-Shipped-To-Islamic-Terrorists"> Somali Muslim refugees were accused of defrauding the state of Minnesota of over $100 million </a>dollars in taxpayer funding which they shipped back to Islamic terrorists. This is happening all across the globe, and worse, right here in America; and it's not pretty. Unfortunately, due to the region being filled with these supposed “migrants” and “refugees,” according to locals, it's turned into a hell hole. Members of the public who have information about foreign fugitives or those believed to be involved in domestic terrorism such as these Muslim gangs are urged to contact ICE by calling the ICE tip line at 1-866-347-2423 or internationally at 001-1802-872-6199. You can also contact the United States Congress and demand they stop flooding the country with refugees. "He was a very caring person, this guy would give you the shirt off his back, he would give you his last beer, he was a very good guy," Heutz said of Giusti. Giusti is mourned by both family and friends, in a senseless killing by dangerous Muslims from Somalia who have no place in the United States of America, to begin with. "We've increased patrol in the park significantly to complement our existing officers who are out there working the beat," Lt. David St. Pierre said. But Heutz says he and others have heard the same rhetoric before, and nothing is actually happening to make the community safer. "The police can do their job and get this dealt with the right way, non-violent, locking people up,” Heutz said. “Or a lot of things that people don't want to happen are probably going to happen." The Maine State Police have yet to make any arrests and are asking for the general public to help them locate those responsible for the crimes. This is one of the reasons all Americans should legally obtain a firearm, and carry it on them at all times. Do so legally, following all local and state laws. Anyone with information is urged to contact the Maine State Police Public Information Officer Stephen McCausland by calling 207-626-3811 or sending an email to [email protected] where you can remain anonymous.